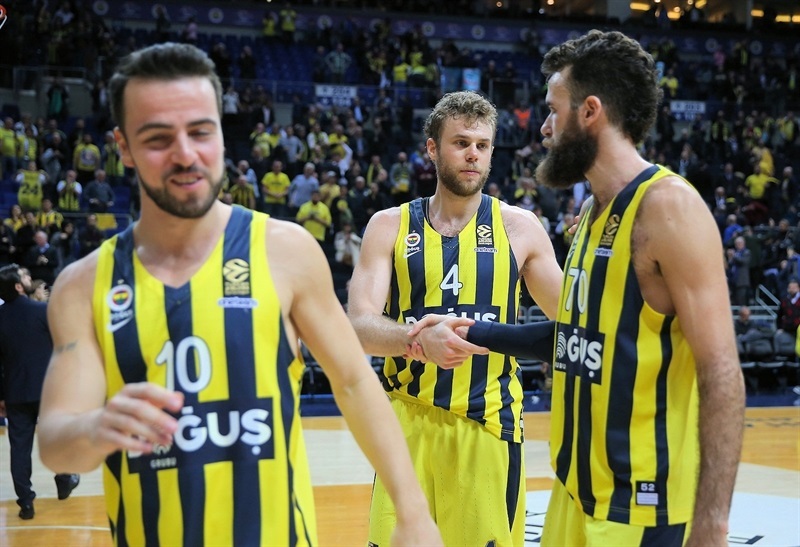 Fenerbahce Dogus Istanbul outlasted Panathinaikos Superfoods Athens 67-62 in a hard-fought contest at Ulker Sports and Event Hall. Jan Vesely made his return after a one-game absence and shined in the fourth quarter with 6 points, 4 rebounds and a big block to help spark the champs to victory. The outcome left both teams with 12-6 records for third-place in the standings. 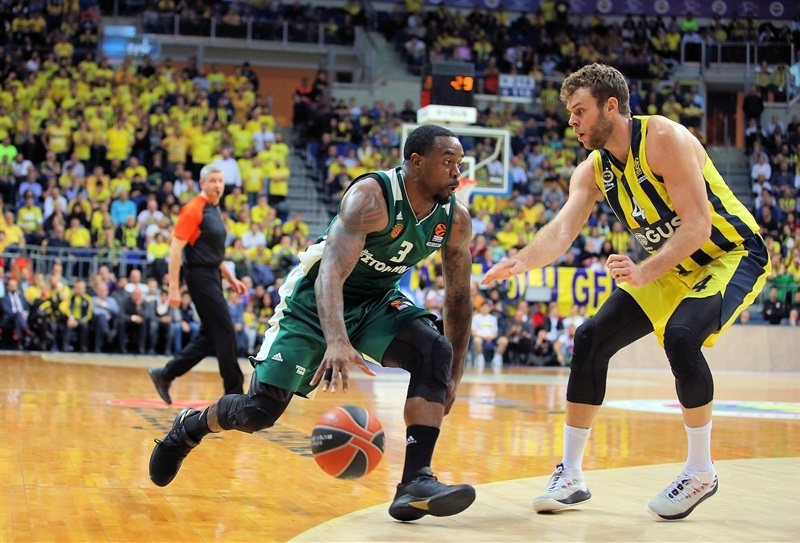 The champs also gained the head-to-head tiebreaker over Panathinaikos, which won their first meeting by 2 points. 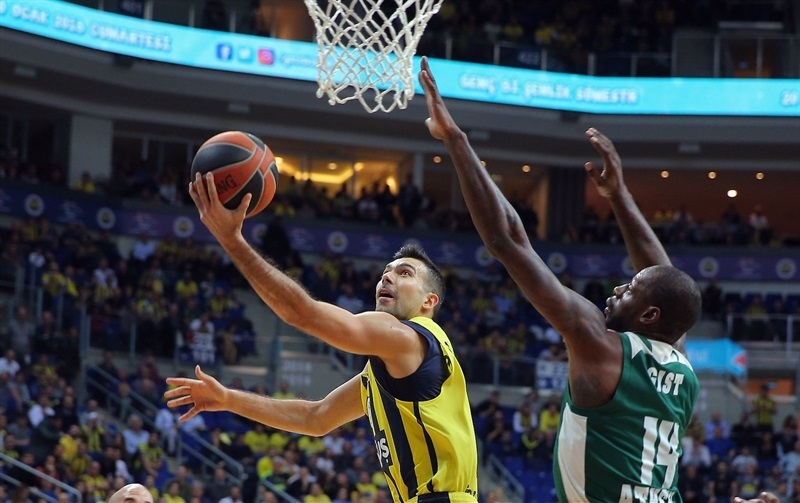 Jason Thompson paced Fenerbahce with 14 points on 7-of-8 shooting plus 7 rebounds, Vesely posted 12 points, 8 boards and 2 blocks and Kostas Sloukas scored 11. Chris Singleton led Panathinaikos with 14 points and 12 rebounds and Nick Calathes added 13 points and 7 assists. 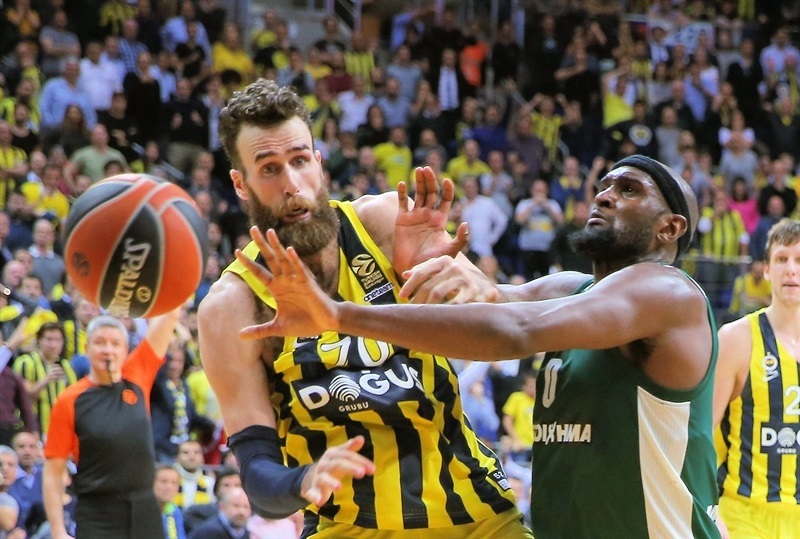 The visitors led by 3 entering the fourth and trailed by just 1 in the final minute, but some key offensive rebounds for Fenerbahce, a great defensive stand and made free throws were the difference in the end. 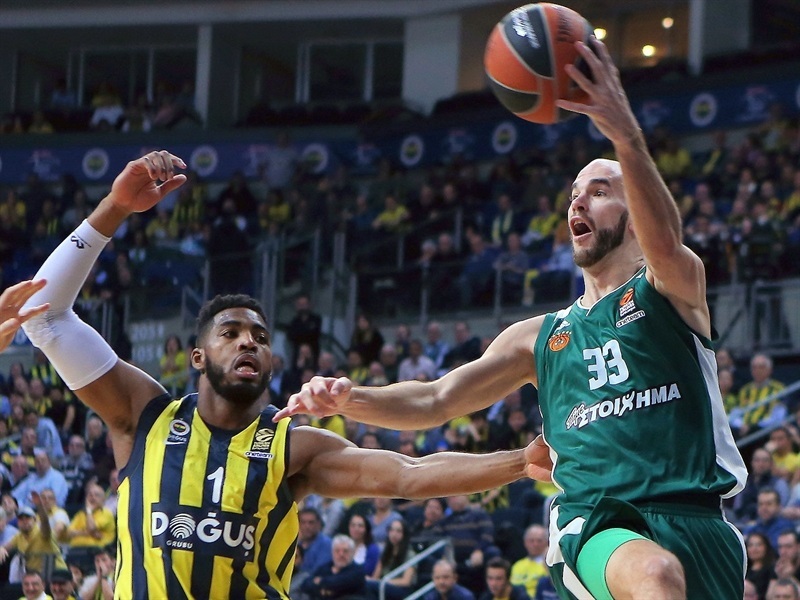 Sloukas scored twice in an 8-3 start by the hosts, but Calathes soon had the Greens back within 1 and Singleton’s three-pointer pushed Panathinaikos ahead 10-12. Vesely came off the bench and made a grand entrance with a reverse slam. 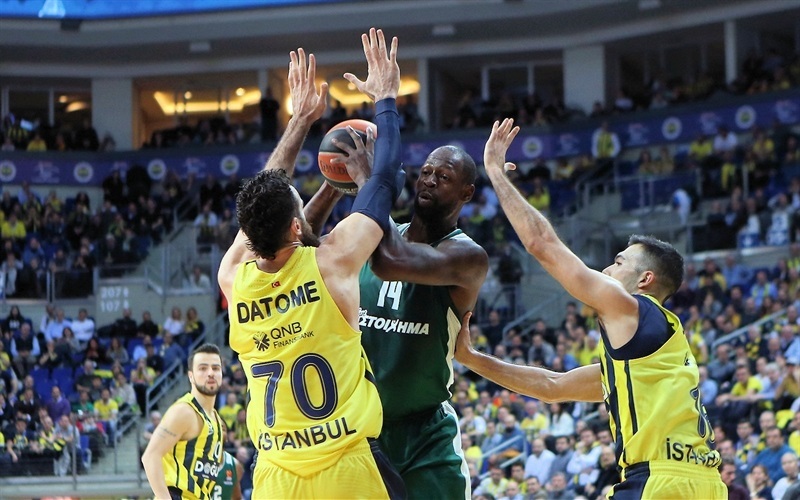 Fenerbahce got threes from Sloukas and Melih Mahmutoglu to take a 4-point edge, but Singleton hit a pair of triples – including a mid-court buzzer-beater at the end of the quarter – to give Panathinaikos an 18-20 lead after 10 minutes. 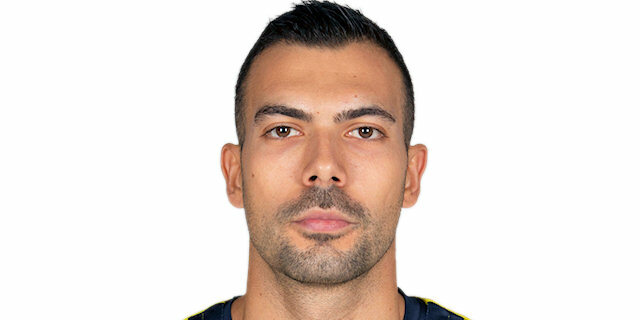 Thompson scored three baskets in an 8-0 Fenerbahce start to the second quarter, which prompted a Panathinaikos timeout. 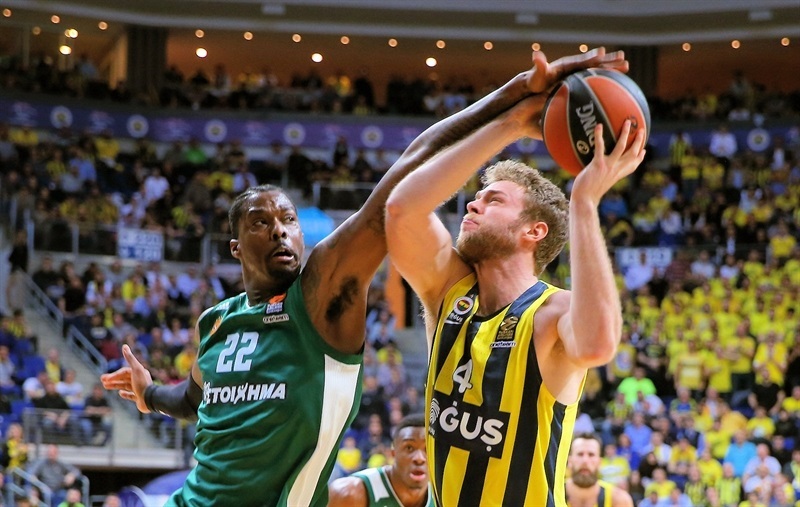 Lukas Lekavicius ended the Panathinaikos drought with a three-pointer. Thanasis Antetokounmpo and Marcus Denmon each drew the visitors within 1, but Fenerbahce answered each time to remain in front. 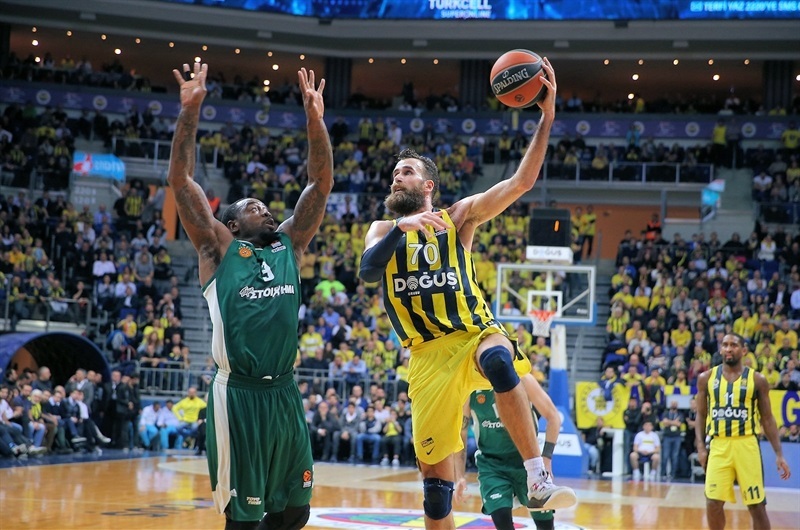 Ali Muhammed gave Fenerbahce its biggest lead, 33-27, with a three-pointer. Calathes answered from downtown before Vesely scored inside to make it 35-30 at the break. Panathinaikos scored on its first three possessions of the second half to give the visitors a 1-point edge. Sloukas free throws put the hosts back ahead, 37-36. The pendulum swung ahead after K.C. Rivers made 3 free throws and Singleton hit his fourth three-pointer to make it 39-42. Rivers put the Greens up 4 with a triple, but Fenerbahce came back to tie it at 47-47 on a fade-away jumper by Nicolo Melli. 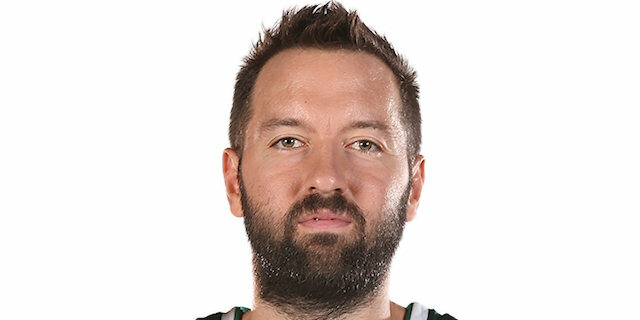 Nikos Pappas connected from downtown to give Panathinaikos a 47-50 advantage through three quarters. Marko Guduric fired in a three from the corner that gave the hosts a 52-50 lead and fired up the home crowd two minutes into the fourth quarter. Vesely took charge with a dunk and a spectacular block and Melli nailed a three for a 57-51 lead with less than five minutes remaining. 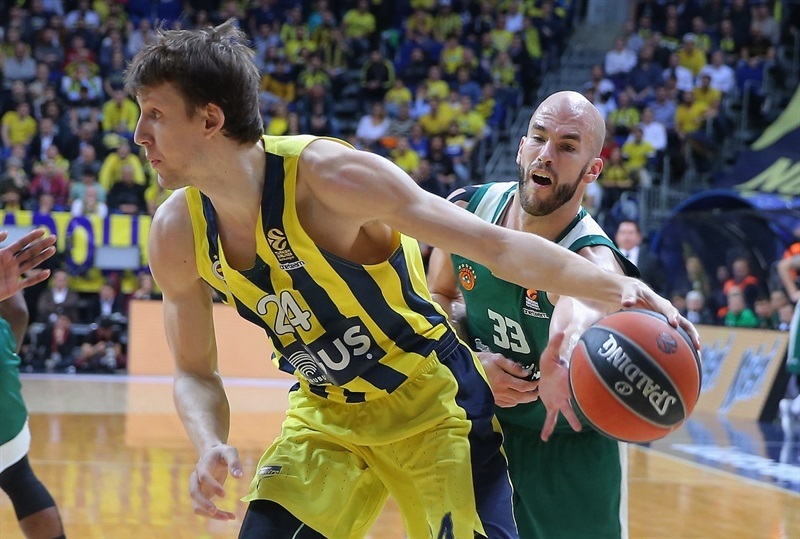 Panathinaikos halved the deficit, but Vesely came through with a tip-in. A second-chance basket by Pappas drew the visitors within 2 and Calathes added a jumper to make it 61-60 entering the final minute. 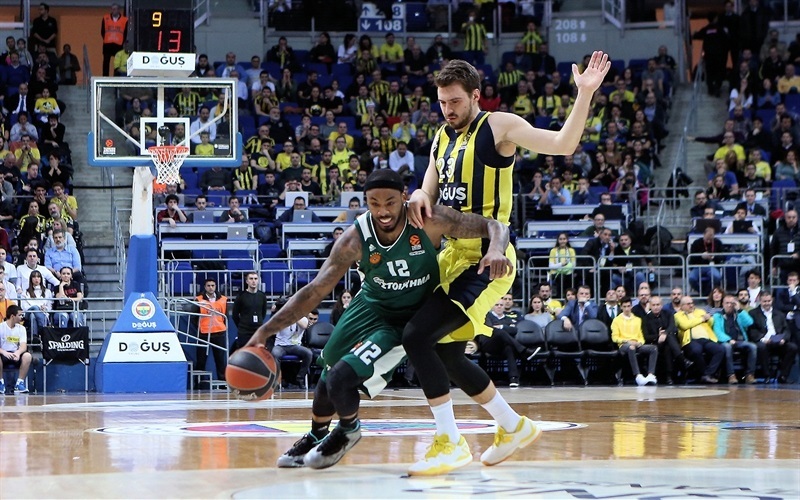 Brad Wanamaker made a third-chance layup and after Denmon missed a tough three, Luigi Datome made it a two-possession game with 2 free throws with 14.3 seconds to go to all but clinch the victory. "I am going to try to watch the game one more time. I believe that the third quarter was really bad from our side. If we finish the quarter with just 1 foul and they score 20 points, something really was wrong. However we found the way to continue to play against one excellent team that lately they play very good. We found a way to win the game. Thanks to our fans. 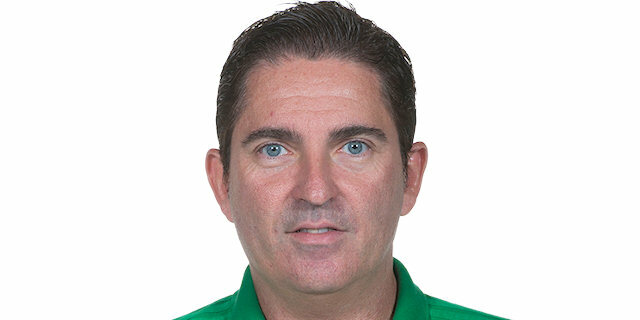 Congratulations to my players, also to Panathinaikos. I believe the game was very tough, also for them there were options to win the game. In the end the concentration of my players was good shooting free throws, Gigi [Datome] and Kostas [Sloukas] moved the ball good against their pressing. 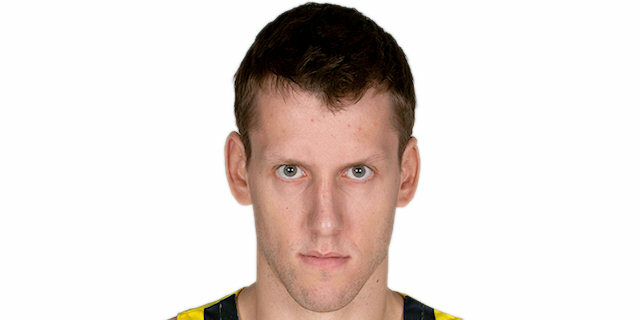 Now we forget this and must be ready for Efes on Friday… [Jan Vesely] played with big wish. Sometimes because of this big wish he has, he makes bad decisions, but anyhow he is a very important player for us. You know I like to talk about everybody, everybody is important and we need all the players to be at a better level than today." 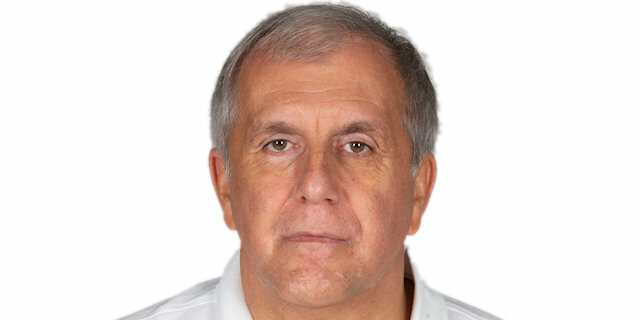 "Congratulations to Fenerbahce on the win. I think it was a tough game, an equal game. Both teams had chances to win. From our side, we think the key was the offensive rebounds in the last part of the fourth quarter, especially on the last two possessions, when they scored this layup by Wanamaker." "We knew before the game that it was very important for us if we want to have our eyes on the first four positions [in the standings]. Panathinaikos is a good team. They play good defense; we knew that. We didn’t play very good offense, but we took an important win. We keep going. Now we took also the [tiebreaker], so we have one small advantage on them." "I just like to play hard to win the games. This is a team win. We fought on defense. In the third quarter we played terrible, but we stayed with it worked out in the end. We have to play 40 minutes like this. We cannot finish quarters with 1 foul and receiving 20 points. This is unacceptable. We have to play much better than that third quarter." "It was a mixture of elements that bring the defeat. The coach told us that they had 7 offensive rebounds in the last 10 minutes. We shot a lot of three-point shots, but that has paid off in the past. Τoday, to a large extent, this did not happen. We play a lot of defense with changes. We have confused several teams and this system has given us. But there is some missmatch in the rebounds. So they took some rebounds and punished us."